The Dec. 11th meeting of the CCR bookclub went exceedingly well. Members enjoyed "The White Tiger" -- a compact, striking novel which combined comedy and tragedy in the framework of contemporary India, underscoring its deeply-engrained social problems. Thanks to our hostess for her kind hospitality around a flaming fireplace. 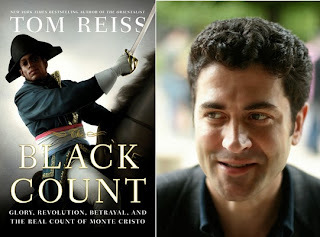 The January meeting will discuss "The Black Count" by Tom Reiss, winner of the Pulitzer Prize. The Black Count was an ancestor of Alexandre Dumas and the inspiration for Dumas' unforgettable character, the Count of Montecristo.